If you like this and our work, please consider donating. Read all of our handpicked featured articles of 2018. Working with Green Man festival, we are offering 100 VIP tickets to their Courtyard Festival currently taking place in hope of raising money for the victims of the Manchester bombing. The first 100 people to claim tickets will be free to collect tickets at the box office at Courtyard. When doing so, they will be offered the chance to donate. These donations will go through Green Man's charity the Green Man Trust. 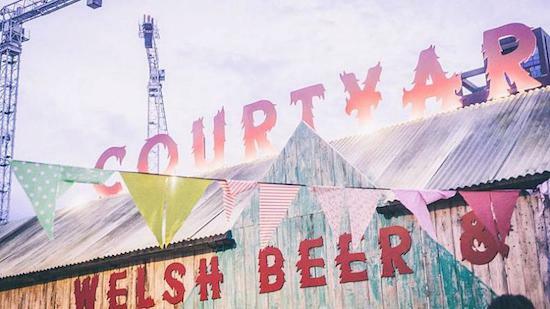 The "Legendary Welsh Beer And Cider Festival" is being held at Lewis Cubitt Square, Kings Cross, London and runs from today til the end of Bank Holiday Monday. Not only is there fun for kids, lots of food stalls and 140 guest beers but you get a chance to see Soccer96, Dungen, The Wave Pictures, Bill Ryder-Jones and Hannah Peel, all money donated will go directly to help those affected by the recent atrocity (money going to British Red Cross' Manchester Appeal).